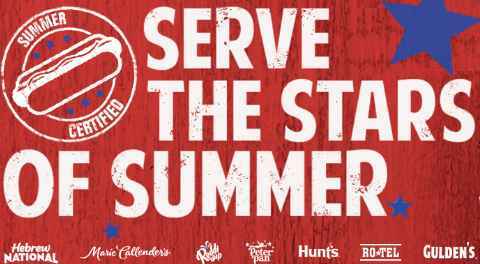 Stars Of Summer Sweepstakes is here enter now through August 31, 2018 for your chance to win a $750 Walmart gift card or win 1 of 84 Walmart Gift Card Prizes from FoodYouLove. How To Enter: During the sweepstakes period go to this link and follow the online instructions to register by entering all information requested on the registration form and once you filled out the entry form now Click on the submit button to complete the registration form. Share your link with your friends for extra chances to win! Prizes: One grand prize winner will win a a $750 Walmart gift card. 84 FIRST PRIZES: On or about each of the Daily Drawing dates (see Section 1 of these Official Rules), one (1) First Prize winner will be selected in a random drawing from all eligible entries into that Entry Period. Each First Prize consists of a $50 WalMart gift card. When To Enter: The Foodyoulove sweepstakes entry begins on June 2, 2018 at 12:00:00 AM Eastern Time (“ET”) and ends on August 31, 2018 at 11:59:59 PM ET. Who’s Sponsor: he Sweepstakes is sponsored solely by Collective Bias, Inc., an Inmar Company, whose address is 1750 S. Osage Springs Drive, Ste. 100, Rogers, AR 72758.